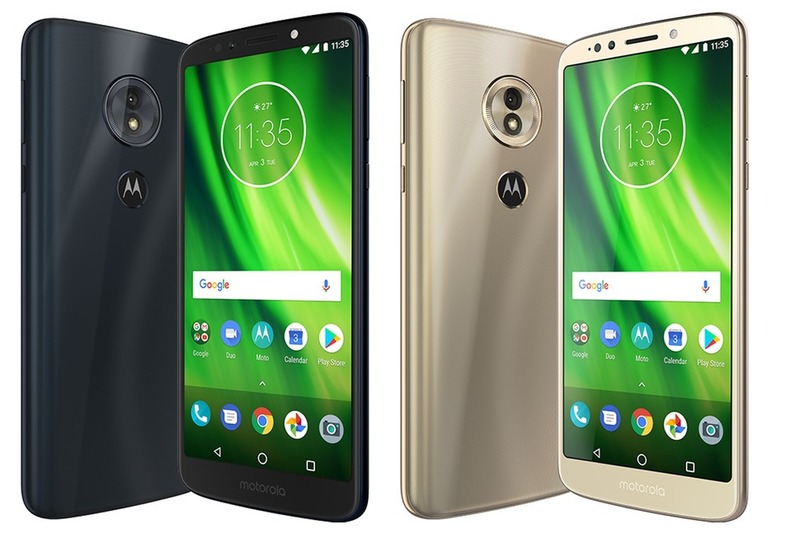 Today, at the launch event in India, Motorola launched two new G series smartphones – Moto G6 & Moto G6 Play. Yes, the Moto G6 Plus wasn’t launched in India today, and we don’t know if the company has any plans to do so. It would’ve been great to see the G6 Plus launching in India under Rs 15K price tag as there is already a pretty tough competition in this price segment, thanks to the phones like the Asus Zenfone Max Pro M1, Realme 1, Redmi Note 5 Pro etc. Talking about the G6 and G6 Play that launched today, the G6 Play comes with a beautiful design, 18:9 display etc., whereas the G6 is a phone featuring beautiful glass and metal design, 18:9 display, dual rear cameras and more. Let’s talk about each of the phones, their design, specifications, and the pricing. The Moto G6 Play, with its polymer glass back, looks premium but unlike the Gorilla glass back of the Moto X4, the one of the G6 Play isn’t that much scratch resistant and durable so keep that in mind if you go for this device. The G6 Play has a fingerprint scanner on the rear, placed within the Batwing logo (A perfect placement for a fingerprint scanner!). There is a single camera on the rear and the front as well. Both the rear and the front cameras feature LED flash. The Moto G6 might seem a great budget offering from the company, but apart from a beautiful design, it is just another overpriced phone from the company. The device has a 3D glass back, which is more durable and scratch resistant than the one on the G6 Play. The fingerprint scanner has a pretty weird design and is placed on the front. The USB Type-C port along with the 3.5mm headphone jack is present on the bottom. OTHER FEATURES Front-Facing fingerprint scanner, USB Type-C Port, 3.5mm headphone jack, Water Repellent Coating, Moto Experiences, Moto Voice, Dolby Audio etc. Coming to the pricing, the Moto G6 Play comes with a price tag of Rs 11,999 (3GB + 32GB) & will be available from Flipkart and Moto Hubs. Well, Snapdragon 427 processor at Rs 11,999 is something we didn’t expect from Motorola. Honestly, the best price for the G6 Play should’ve been around Rs. 7-8K. Well, it looks like Motorola is following Samsung’s path in the budget smartphone market as the company doesn’t know that it is losing its market in the budget segment by launching these overpriced smartphones. We doubt if anyone is going to buy a G6 Play when there are way better smartphones like Realme 1 and Asus Zenfone Max Pro M1. Same is the story for the Moto G6 as it is priced at Rs 13,999 for the 3GB + 32GB variant and Rs 15,999 for the 4GB + 64GB variant. The phone is going to be Amazon Exclusive and will be available on Moto Hubs as well. Is it a joke Motorola? Snapdragon 450 at Rs 15,999 when there are phones with Snapdragon 636 under this pricing! Well, this clearly shows why the company didn’t launch the Moto G6 Plus in India. In fact, up to Rs. 12-13K was the best pricing for the Moto G6 Plus if it would’ve launched in India. Motorola needs to reconsider its pricing else these new Moto phones are going to be a flop. What are your views on this pricing from Motorola? Do let us know via the comments section.